We are fortunate indeed that yesterday there wasn’t a meeting between North Japan and South Japan, declaring peace and looking forward perhaps to eventual reunification. There is one reason and one reason alone why this didn’t happen. The planned invasion of Japan “Operation Downfall” which was to have taken place in November 1945 was cancelled. The Soviet Union also had a plan. They declared war on Japan on August 9th 1945 and in a short time occupied Sakhalin and the Kuril Islands, Manchuria and Korea up to the 38th Parallel. The Soviets intended then to invade the northern Japanese island of Hokkaido. If the war had continued there would have been a similar race to that which occurred in Germany. The Soviets careless of casualties would have sought to make as much of Japan communist as possible. The Americans wishing to save as many G.I. lives as possible would have been slow. The result would have been to split Honshu down the middle with a divided Tokyo and eventually a wall round it. In this case socialist North Japan like everywhere which experiments with trying to achieve equality of outcome would be poor, while South Japan would be one of the richest countries in the world. 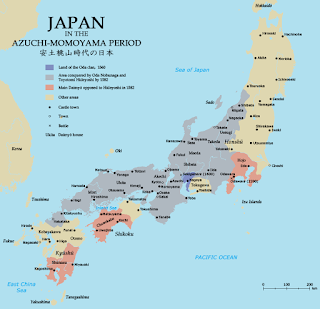 North Japan would have attempted to achieve unification by force sometime in the 1950s and if the West had been fortunate enough to prevent this, the two Japans would have remained technically at war with each other from then until now. It would, of course, have been tragic if Japan had been divided. But Japan was not always as united as it appears to be today. The Ryukyuan languages, which are not mutually intelligible with Japanese, although they are part of the same language family, are still spoken by some people in the southern Japanese islands. The Ainu language, unrelated to Japanese, was spoken by the indigenous people of Hokkaido, but is now endangered. This was in part because Hokkaido was gradually incorporated into a united Japan by a process that was completed only in 1858. Like nearly every country in the world, Japan was once made up of different peoples who owed allegiance to various feudal warlords. They fought wars to gain control over territory. Eventually these wars led to unification. The same can be said about Korea. The Korean peninsula is now divided. But it has been divided before. It had a North-South States period lasting from 698–926 AD. It also had a period when it was divided in three 57 BC – 668 AD. 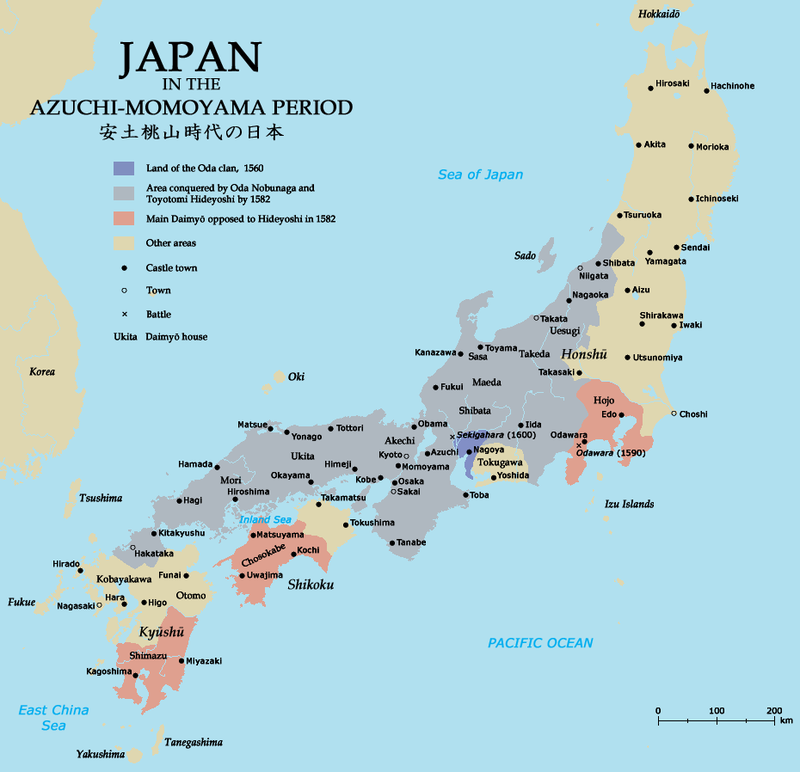 It has at various times been invaded by Japan and by China and incorporated into the Japanese Empire from 1910 to 1945. The process of human history the world over is one of conquest, division and unification. There are any number of “countries” that once existed in Japan, which now no longer exist. Korea was once three kingdoms, then two, then one, then two again. There are likewise any number of languages that have died out, sometimes because the people who spoke them have died out or been absorbed into those who conquered them. Uriah the Hittite would have spoken an ancient Indo-European language native to Anatolia. There are no native Hittite people now and the language is dead. The reason for this is that the Turkic people’s, who don’t speak an Indo-European language, migrated to present day Turkey, at various points between the 6th and 11th centuries. This was no doubt tragic for Uriah’s descendants if indeed he had any prior to being sent into the front line, but there is no more point regretting the loss of the Hittite language than regretting the loss of Pictish or indeed Anglo-Saxon. In the British Isles nearly all of us speak varieties of English. Prior the Roman conquest nearly all of us spoke various forms of Celtic. We speak English, because like everyone else in the world we have been engaged in various forms of conquest and migration since history began. The Iceni would have spoken a language similar to Welsh when Boadicea fought the Romans. It is therefore peculiar for people who think of themselves as British to mock those who speak Welsh. It is the child of the ancient language of our island. But it is also peculiar to blame the English for somehow persecuting those who spoke Celtic languages in the British Isles and driving those languages to destruction. It was the migration of Angles, Saxons, Jutes and Normans which pushed the Celtic languages westwards. But it isn’t as if Celts didn’t do any pushing or any migrating. The Celts after all did not originate in the British Isles. The Celts migrated from Central Europe and spread to France, Spain, Britain and elsewhere. They too, no doubt, supplanted the people and languages of those who lived where they settled. There is no point regretting the history that made us what we are. It is this that makes the hatred that is sometimes met in the British Isles all rather silly. The Celtic people of England were conquered by Romans, Anglo-Saxons and Normans. Migrations went back and forth between mainland Europe and the British Isles. Ancient Britons colonised Brittany and some of them still speak Breton. Next door Normans repaid the compliment. The reason we all speak English is that our ancestors are a mixture of all the people who migrated to our islands. To regret this is to regret who we are. Ireland apparently suffered centuries of oppression and colonisation by the wicked Brits. But then Britain suffered centuries of oppression and colonisation by the wicked Romans, then the wicked Angles and then the wicked Normans. Perhaps we should all have a chip on our shoulder about William the Conqueror the Vikings. Perhaps we should complain to the Danes that they oppressed us, raped and pillaged us. We could maintain that Britain has suffered two thousand years of being colonised by the Romans and everyone else who persecuted the poor Iceni and their children, but we are both the children of the Iceni and the children of everyone who migrated since the Romans. Whether they like it or not the Irish are the descendants of those who settled in Ireland due to migration. The Irish are no more pure Celts than anyone else in the British Isles. We are all just a mixture of everyone who came here. Everywhere in the British Isles, just like Japan and Korea went through a process of conquest and migration. These processes led to the nation states that we have today. They are the reason we are as we are. If Angles and Saxons had not migrated to Ireland they would no doubt all speak Irish, but to regret this migration is like regretting that in Britain we don’t speak the language of the Iceni, or that in Turkey they don’t speak Hittite. To be Scottish today is almost certainly not to be someone who speaks Gaelic. To regret this is to regret the process of migration that led to the mix of peoples who make up Scotland. It is to regret who we are and who are parents and grandparents were. Scottish nationalism picks one period of Scottish history, the period when Scotland was a kingdom and prioritises it over every other period. But Scotland was divided when the Romans first called us Caledonia. We were separate tribes. We had migrations from Ireland, we then gradually unified the various peoples in Scotland and then gradually mixed with the Anglo-Saxon peoples who had migrated here from the continent. This didn’t begin in 1707. It didn’t even begin in 1066. People have been speaking a variety of Anglo-Saxon in Scotland originally called Ynglis or Inglis for well over a thousand years. We speak English because the Anglo-Saxons and their descendants came to dominate the British Isles. I have no idea why these people should have been more successful than the Celts, but they were. The story of the British Isles is how a Celtic speaking people became an English speaking people. Our mothers taught us English and their mothers taught them. To regret the language that you speak and to hate it is to regret who was your mother. It is to regret and hate your own self. Some Irish, Welsh and Scottish people can’t even bear to think that speaking English as a native speaker provides them with an advantage. All they can think of is that the wicked Brits have repressed them, conquered them and persecuted them for centuries. But this bitterness is peculiarly self-defeating. The language used to express the supposed oppression is the language of the supposed oppressor. It’s the only language most people in Scotland and Ireland know. Instead of embracing who they are, the English speaking people of the British Isles, they hate who they are and delight in blaming someone else for it. The Korean speaking people of the Korean peninsula and the Japanese people of the Japanese islands either have unity or long for it. 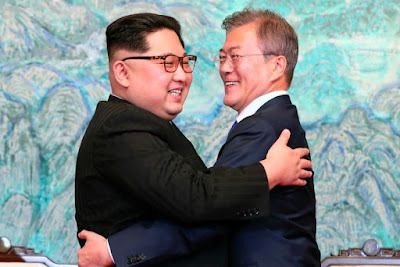 It would be the most wonderful historical development if Korea could be united. But while we look on and cheer potential reconciliation in Korea, we find ways to hate each other here. Our history is no different from the history of Japan and Korea. We too are the result of conquests and migrations. We share a common language because of this. But instead of finding unity we continually seek division and blame each other because of the wrongs that were done by our ancestors. But I’m sorry we all have the same ancestors. We are all the descendants of the perpetrators and the persecuted. Each of us was a conqueror and each of us was conquered. We used to speak various Celtic languages, now we are all Anglo-Saxons. To deny this is to mutely try to speak the language of the Iceni, the Picts, or the Scoti. To regret the migrations that led to the people that we are now, is like a Turk regretting that he is not a Hittite. We have just as much unity as the Japanese or the Koreans. Wouldn’t it be as tragic and equally absurd to divide an English speaking island as to divide a Korean speaking peninsular? An interesting idea, but why not have a British Isles - Scandinavian alliance for trade and mutual benefit? A step in this direction might be to apply for observer status on the Nordic Council. This highly-entertaining piece takes us into the realms of Alternative History (which our old allies call Uchronie). More,please! À propos of achieving wider unity, a delightful fellow I know in England commented on the 150th anniversary of the Battle of Leipzig (where have those years flown? ), "Just think, if Napoleon had won we'd all be speaking French ... and drinking wine ... and working a 35-hour week ... and travelling on reliable and affordable trains ... and reading a varied and literate Press . .MERDE!" This *is* an intriguing Alternative History scenario. In Our Time-Line, (as the AH aficionados say), President Truman ordered the incineration of two further Japanese cities before significant Soviet inroads had been out executed. Had Soviet forces gained a bridgehead on one of the main Home Islands, the overwhelming probability is that President Truman would have ordered the incineration of as many Japanese cities as it took to halt the Soviet advance. Whatever else Stalin may have been, he was certainly not a fool. He would have backed off and bided his time, redoubling the efforts to build a Soviet atom bomb. Any putative Japanese Democratic Republic would have contained large tracts of lifeless radioactive waste. Many of the surviving population would soon have succumbed to radiation sickness, with the succeeding generations afflicted by a high incidence of genetic mutations. It is to be questioned whether, in due course, the Empire of Japan (we have no reason for supposing that the victorious Allies would not, as in OTL,have retained the monarchy) would *want* to reincorporate such a Hell on Earth. I was delighted, a few years ago, to discover that two of Turkey's greatest Hittite experts are married to one another. That such policies be morally at least neutral, or, preferably, morally commendable. As neither condition obtains, the analogy must fail.